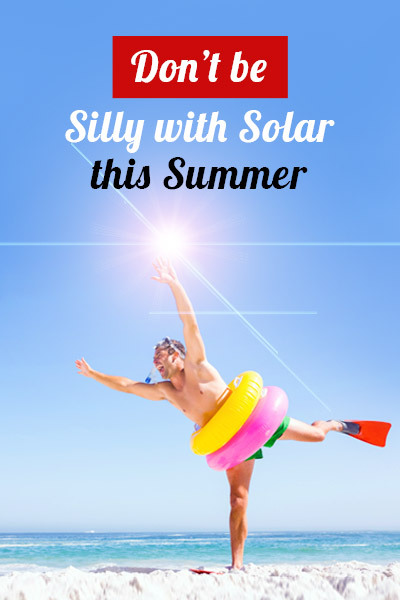 There’s no argument that summer is the silly season, but summer is also the solar season. Homes and business with solar systems get excited because the longer days means more energy produced and more money saved on their electricity bills. It’s also the time best time of year for solar retailers to be marketing and promoting themselves to offload outdated equipment. Online, in print, on TV, at the bus stop and maybe even a billboard or two you’ll see deals for “Free panels”, “Free batteries” and cheap package deals. Quality won’t come for free and it rarely comes cheap. Lastly, how will you know if the deal on offer truly is the best/competive price that meets your household’s needs, if you have not compared it to any other offers? That’s where we can help you out. We’ll organise 3 Free, no-obligation quotes for you and they’ll all be from suppliers in your area. This will allow you to make the best decision for your household and provide you peace of mind that the solar system you’ve invested in was the best deal for you and not just the cheapest. Compare & Get 3 Quotes Now!